This Mace Canine Repellent Dog Pepper Spray Keychain is EPA approved and provides safe, effective and humane protection against dog attacks. Mace Dog repellers are ideal protection for walkers, joggers, cyclists or delivery people. 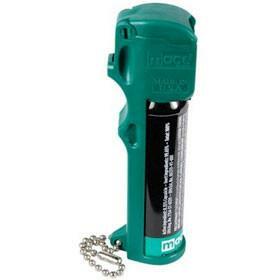 Mace Dog repellent features include a flip-top safety cap, finger-grip dispenser, belt clip, keychain and Velcro-like attachment. 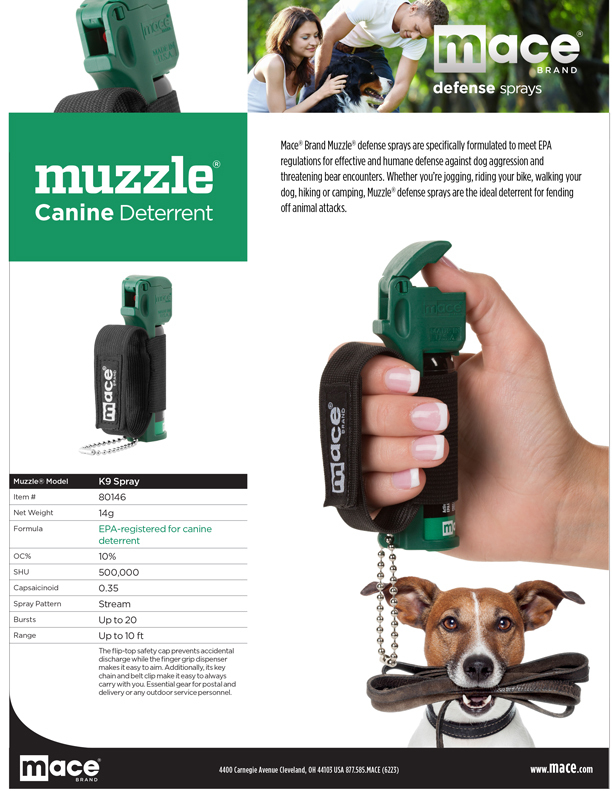 This canine repellent provides you the ability to prevent or stop a dog attack, giving you time to get away and seek help. Don’t be a victim of a viciouscanine! Make an investment in your personal safety today. Did you know that there are nearly 5 million reported dog attacks in the United States every year? That’s one attack every 75 seconds! And more than 1,000 emergency room visits per day are the result of aggressive dog attacks. 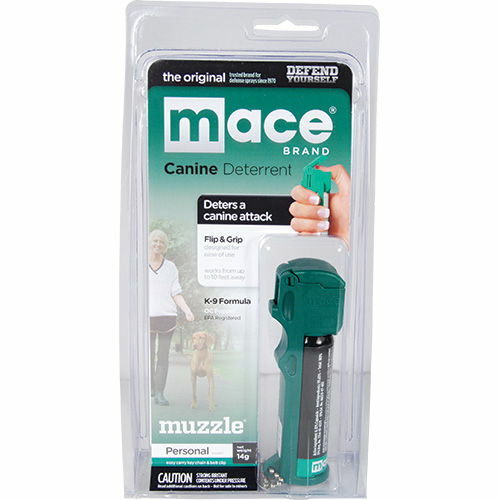 All Mace dog repeller purchases are backed by our 30-Day Risk Free Guarantee. To get more information you can view a video here. Note: We can ship Mace Canine Repellent to New York. got what you intend,bookmarked , really decent web site.